Abigail Wehrman (12) holds a sign that reads "A teacher is not a soldier" at the March 14, 2018 Walk-Out. On March 14, 2018, hundreds of students walked out of class at 10AM to protest gun control laws and the regulation thereof. Prior to the walkout, a twitter account, @CTHSwalkout was created by Emily Berton, Ramsha Ahmad, and Brooke Pantaleo to update the students on the details of the walkout. 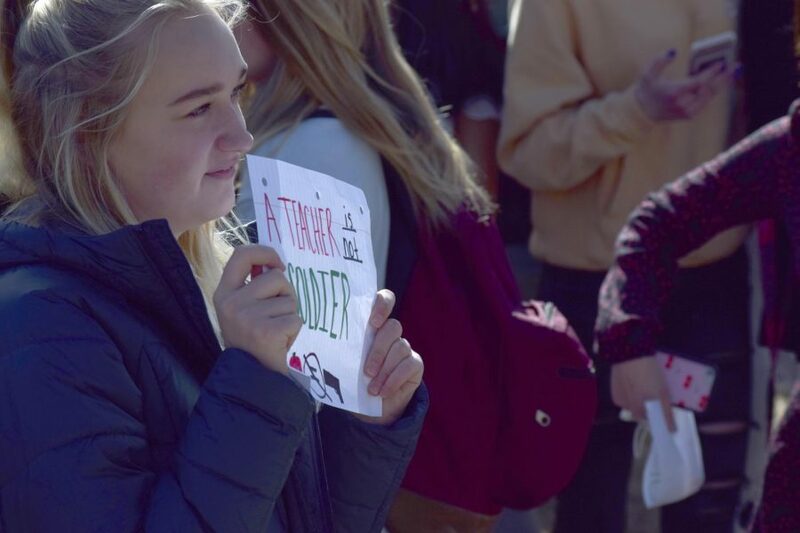 Voices raised and chanting with their “…voices louder than the gunshots,” said Abigail Wherman (12) about the CT Students pushing for stricter gun regulation in lieu of the recent Parkland shootings.